Learn the inspiring story of the Toronto Raptors' star point-guard Kyle Lowry! 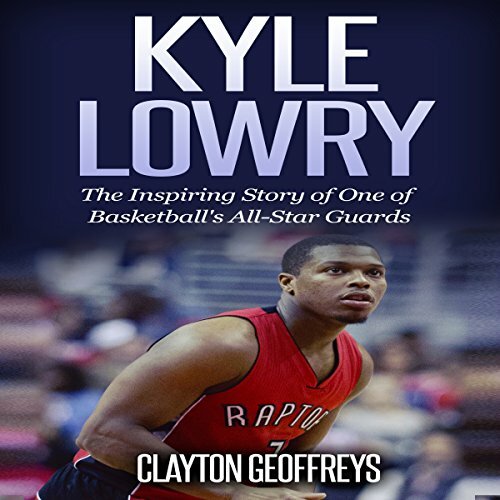 In Kyle Lowry: The Inspiring Story of One of Basketball's All-Star Guards, you will learn the inspirational story of one of basketball's all-star guards, Kyle Lowry. The Toronto Raptors' rise in the NBA in recent years has been largely attributed to Kyle Lowry's leadership as he helped guide the Raptors to their first Atlantic Division title in several years. Aside from fellow star guards Stephen Curry and Russell Westbrook, few point guards in the NBA can score as easily as Kyle Lowry. It's no surprise Lowry was often compared to Tim Hardaway when he entered the league, as Lowry has the unique ability to not only score at will, but also make smart decisions on the floor.